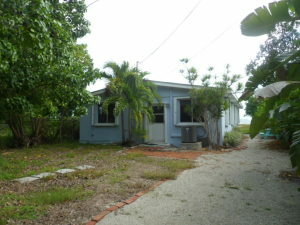 This 2 bedroom,2 bath canal front homes sits on 10,000 sqft of land. Located on a boating canal, this home has s 55′ permited wood dock, boat basin and tropical hand painted murals through out the home. Do not underestimate the potential this home has to offer! 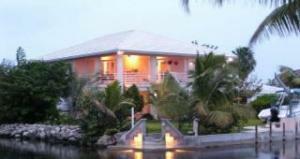 Beautiful Big Pine Key CBS 3BD/2BA home with 250′ of deep canal frontage. Nested in mature landscaping the home sits on a corner where 2 clean flowing canals meet. The gorgeous cathedral ceilings are an inviting touch to this home’s open floor plan. Too many amenities to include, please see the document tab for a complete list. Best boating in Big Pine Key! 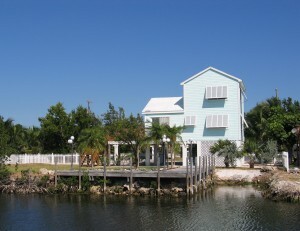 This CBS 2BD/2BA CBS home offers magnificent open water views from the screened in porch and from the main living area. Because of its’ unique location your boat will receive full protection as the 60’cement seawall is on the 50′ wide, deep water access canal. Check out the aerial picture! 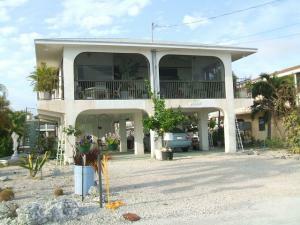 Beautiful Big Pine Key CBS 3BD/2BA home with 250′ of deep canal frontage. Nested in mature landscaping the home sits on a corner where 2 clean flowing canals meet. The gorgeous cathedral ceilings are an inviting touch to this home’s open floor plan. Too many amenities to include.